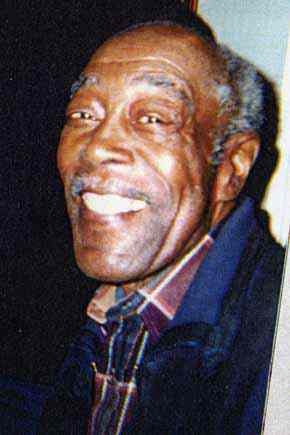 William "Baggy" Grant, a mainstay on the Boston jazz scene, died October 23, 2004, a week shy of his 81st birthday. Musicians who were part of Boston's glorious years of bebop in the 1950s and 1960s agree that Baggy ("Bags" to his closest associates and friends) Grant was one of the best drummers around. Grant was a member of the renowned "Boston Beboppers" of the late 1940s, a band led by pianist Jimmy Martin and featuring such jazz giants as Gill Askey, Jaki Byard, Joe Gordon, Gigi Gryce, Lennie Johnson, Andy McGhee, Hampton Reese and Sam Rivers. "He was a great big band drummer," remembered fellow Bebopper Eddie Logan. "He drove a band as well as anybody." The band's backup drummers were Clarence Johnston, Larry Winters and Alan Dawson, all of whom were close friends. Logan, a saxophonist and bassist, frequently played together with Grant in small groups, too, from the time Logan arrived from Texas to attend Boston Conservatory in 1946. In 1954, their trio, with Red Garland on piano, played a month-plus engagement in Wally's Paradise, and they also traveled a bit, joining Fat Man Robinson's group for a two-week stint in Canada. Grant also played with the bands of Jimmy Tyler and Hilary Rose at Connolly's in the late 1950s; earlier he was a member of the Hi-Hat's house trio led by pianist Dean Earl with Bernie Griggs on bass. They backed guest headliners, including Sonny Stitt and Charlie Parker, with whom they recorded. Trumpeter Herb Pomeroy, who performed with them and Parker at the Hi-Hat in 1953, says of Grant, "Baggy was a gentle man and a wonderful player. Socially, he kept pretty much to himself. I was fortunate to have played with him several times. I believe he was the first bebop drummer in Boston, and he developed the style quite simultaneously with Kenny Clarke, the man most often credited with inventing that approach to rhythm. In fact, Jaki [Byard] once told me that Baggy and Clarke knew each other and shared thoughts before the bop movement took hold." Pomeroy and Grant also played together in a society band led by trombonist Jeff Stoughton. Bill "Baggy" Grant in 2002. Photo courtesy of Tonii Isaac. 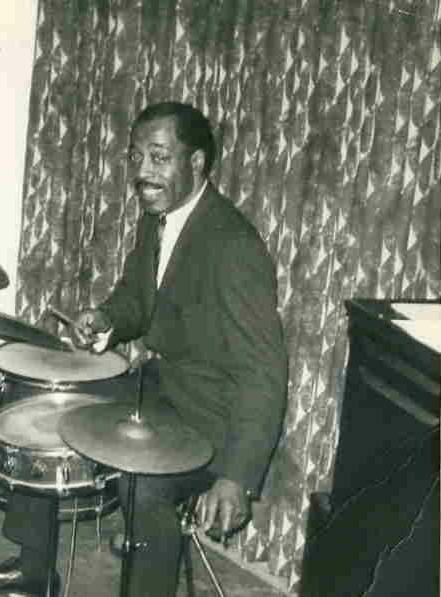 In the more recent decades, after Wally's moved across the street to 427 Massachusetts Avenue, Grant still was regarded as "the master" drummer at the club, frequently sitting in with student players from the Berklee College of Music and the conservatories. In fact, he lived in the street-level apartment right next door. From 1998-2000, Grant could be heard at the Good Life Café on Kingston Street on Sunday nights with vocalist Karin Parker and pianist Walter Radcliffe. In February 1996, he was presented with certificates of appreciation by the New England Conservatory of Music and the Massachusetts House of Representatives, at which time he was declared "musical godfather" in the world of jazz. Grant was born in Boston on Nov. 1, 1923, and died Oct. 23, 2004, unfortunately before being rediscovered by a new generation of jazz appreciators. He leaves his wife, Clara Ann Grant; sons Stanley Isaac and Allen Paul, daughters Antoinette and Gail Isaac, grandsons Maliki, Saxton and Brayon Issac and Justin Donkor, granddaughters Denise Grant, Cheryl Ramsey and Teaka and Shavon Issac, and great-grandchildren Apahlo Sullivan and Kyrah Isaac. Bill "Baggy" Grant at work in 1970.